The Southbank Centre is home to four resident orchestras, including the London Philharmonic, the Philharmonia and the London Sinfonietta, whose season of classical music offerings runs for ten months a year. 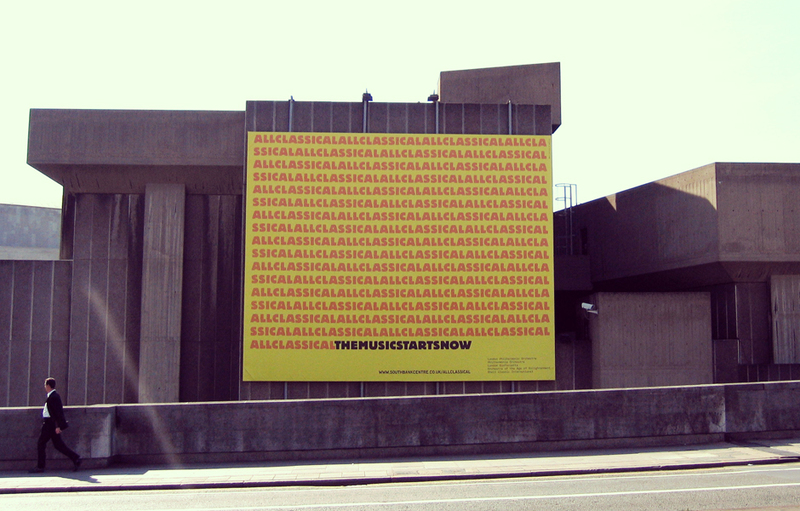 The brief was to create a comprehensive season launch campaign, with an idea that would work on billboards, posters, plasma screens and websites and would capture the attention of a culturally sophisticated audience with no more than a passing interest in classical music. 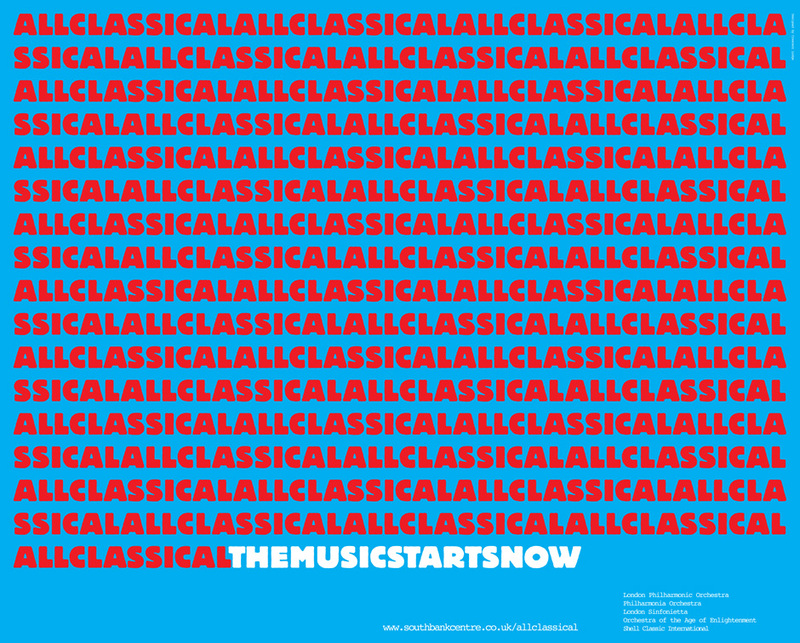 Our objectives were visibility, immediacy and clarity of message infused with a sense of fun, and to achieve them we created a visual and verbal language, using references not usually associated with classical music, that was designed to turn heads and also turn preconceptions on their head. So our colours clash, our font is poppy and our headline shoots straight from the hip.